Specifically designed for the budget-conscious customer, who values a functional and lightweight case, the Essential Topload Case offers uncompromising quality. 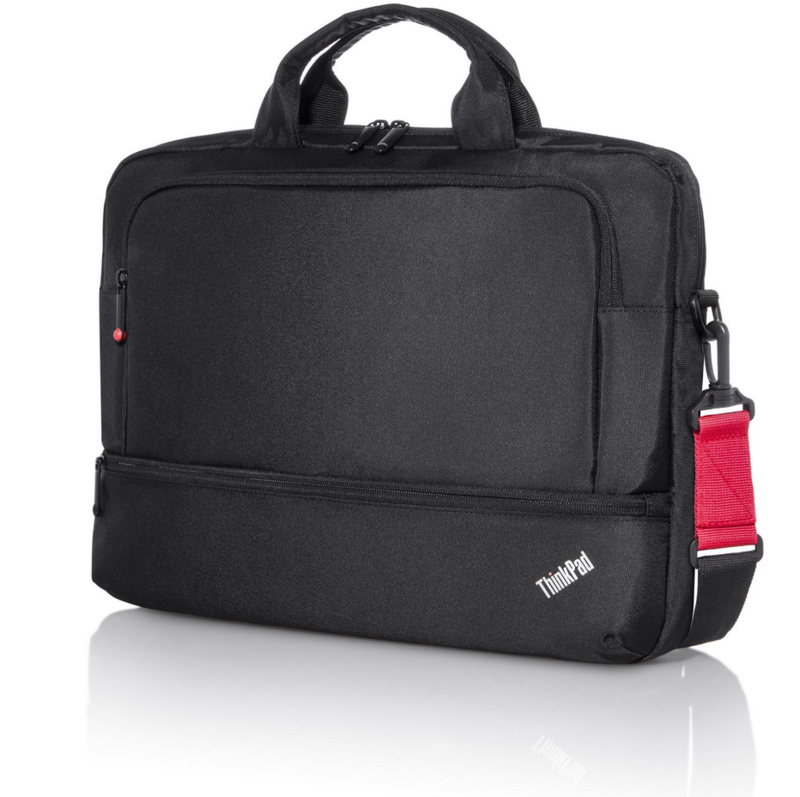 Composed of durable, lightweight nylon, this slim case boasts a protective notebook compartment for your ThinkPad, ergonomic shoulder straps, padded carry handles, and plenty of storage space for your power supply and other personal items. Red accent colors on the zipper pull and shoulder strap provide subtle, yet distinct, design elements to perfectly complement your ThinkPad notebook.